The condition has become so common, ER staff have coined a new term that helps identify it: "scromiting," for "screaming" and "vomiting." Long-term and very heavy marijuana use may cause severe stomach pain and vomiting in a very small percentage of users, local San Diego researchers announced Thursday. Researchers met last week to discuss treatment options for a new syndrome associated with chronic long-term marijuana use. Cannabinoid Hyperemesis Syndrome (CHS) causes symptoms ranging from severe stomach pain, nausea, vomiting and the impulse to take hot showers, according to county and health officials. Chalfonte Queen, who has CHS, says for 17 years she suffered from an extremely painful stomach condition that would often land her in the ER. "You think you are dying," Queen said. "You pray for death at some points because it hurts so bad. It's just so unbearable." "I had severe, severe abdomen pain and severe vomiting," she added. "You're literally out of your mind with pain." Queen said she went through MRI's, colonoscopies and other invasive medical procedures before she was finally correctly diagnosed with CHS. At local hospitals, public health officials are witnessing an increase in individuals with Cannabinoid Hyperemesis Syndrome. "Even at that point, I still did not believe it," she said. "I've heard my whole life, marijuana is bad. Don't smoke weed. So, if a doctor tells you don't smoke weed, it's not a novel idea." The condition is linked to long-term, heavy marijuana use and causes abdominal discomfort that may mimic other intestinal illnesses. Doctors said because of an increase in THC levels, the psychoactive chemical found in cannabis, they are seeing more cases. 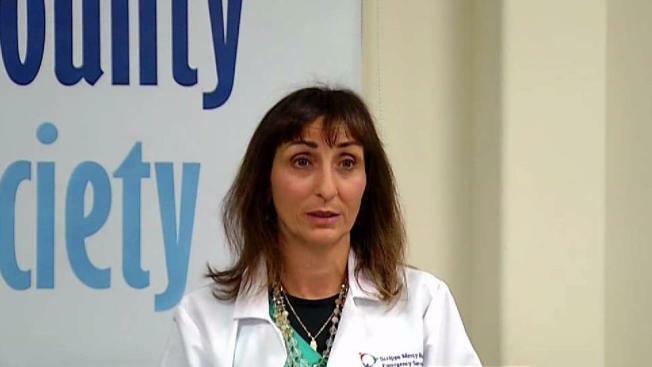 "In my work, in the emergency room, I see at least one patient a day with the Cannabinoid Hyperemesis Syndrom," said Dr. Roneet Lev, the director of operations at Scripps Mercy Hospital. Lev said the condition has become so common, ER staff have coined a new term that helps identify it: "scromiting," for "screaming" and "vomiting." Between 2006 and 2014, the number of persons discharged from emergency departments in San Diego County (with cannabis as a primary diagnosis) increased from 86 to 232. The number of persons discharged from San Diego County emergency departments with cannabis as a primary or secondary diagnosis combined, increased from 1,108 to 10,302.